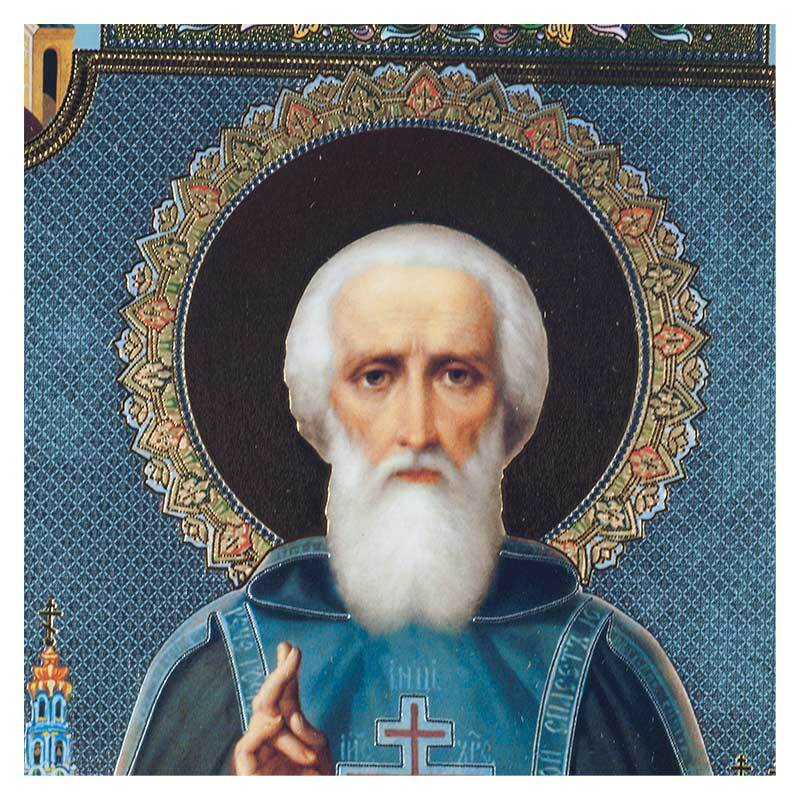 Venerable Sergius of Radonezh (Russian: Се́ргий Ра́донежский, Sergii Radonezhsky), (14 May 1314 – 25 September 1392) also transliterated as Sergey Radonezhsky or Serge of Radonezh, was a spiritual leader and monastic reformer of medieval Russia. 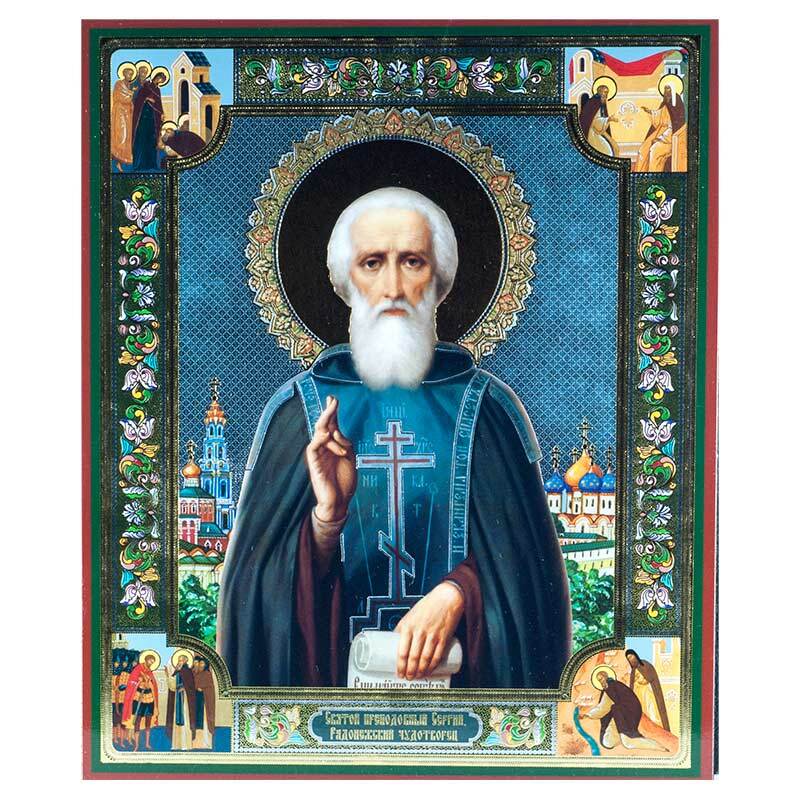 Together with Venerable Seraphim of Sarov, he is one of the Russian Orthodox Church's most highly venerated saints. 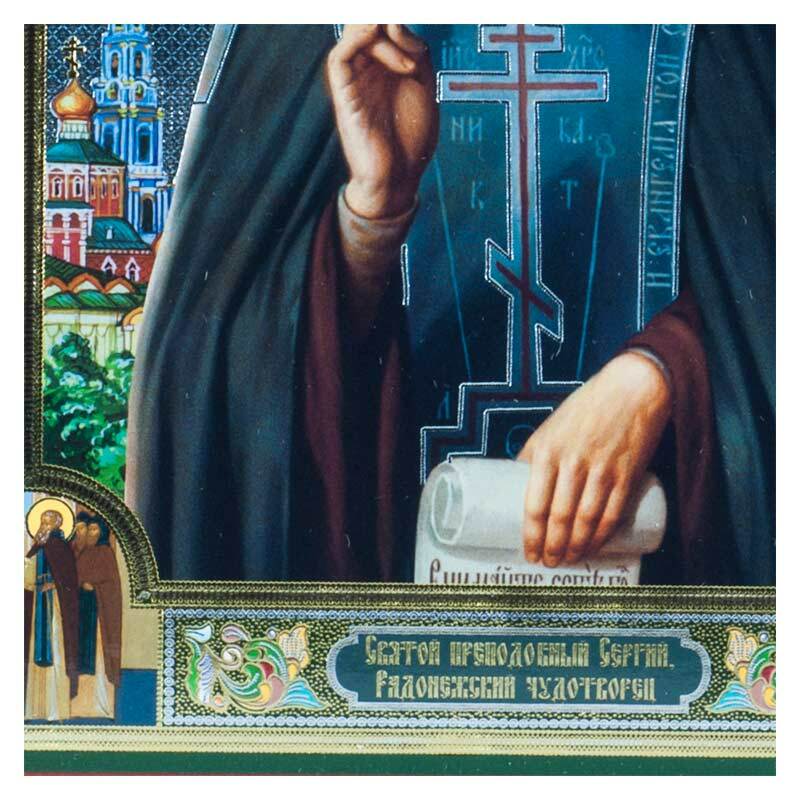 Image of the icon is made with high-quality polygraph with double layers of metallography printing. It is pasted to the thin (3 mm) MDF plate basis.